Product prices and availability are accurate as of 2019-04-25 05:26:26 UTC and are subject to change. Any price and availability information displayed on http://www.amazon.com/ at the time of purchase will apply to the purchase of this product. 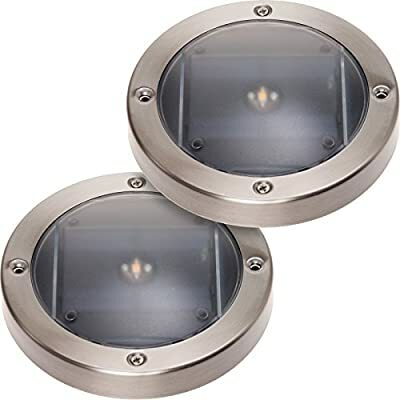 Safely outline your deck or stairs with these Solar Deck Lights from GreenLighting. Crafted from durable stainless steel with a plastic lens, the GreenLighting Deck Lights are made to handle the outdoor elements with ease. The auto on/off sensor turns the lights on with the onset of nightfall or inclement weather. A top mounted solar panel absorbs sunlight to recharge the included 1.2 V 300 mAh battery. One warm white LED lights emit a soft 5 Lumens output, gently illuminating the space. Set includes 2 lights. Each light measures 4.7" x 0.98". SOLAR POWERED - The top mounted solar panel absorbs sunlight to recharge the included 1.2 V 300 mAh battery, no extra wiring required. 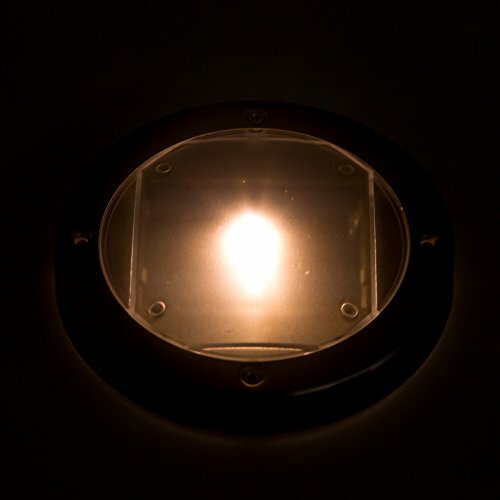 ENERGY EFFICIENT LED - Bright white LED provides 5 lumens of light, to safely illuminate your deck or stairs. 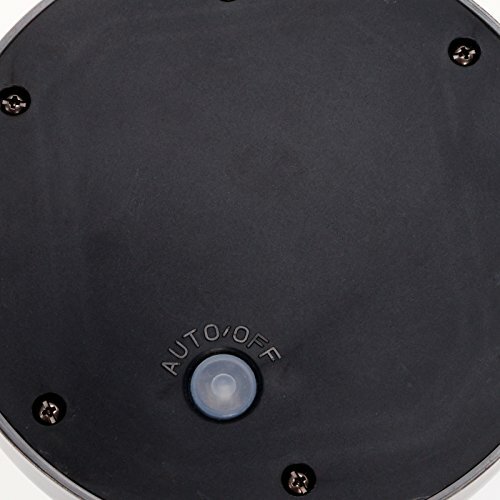 AUTO ON/OFF - The built-in sensor detects surrounding light and will automatically turn your lights off and on, making these lights nearly maintenance free. EASY TO INSTALL - Everything you need to get started comes in the box, including batteries and mounting hardware. 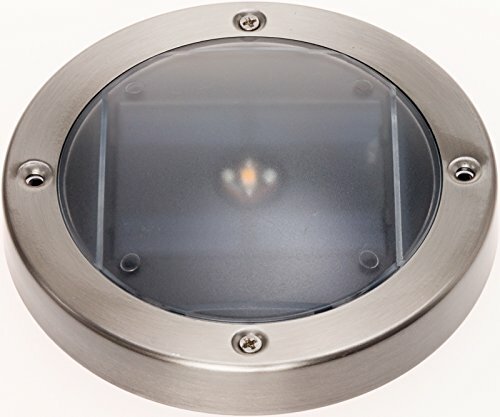 PRODUCT SPECIFICATIONS - Comes as a set of 2 lights; Each light measures 4.7" x 0.98".